Here is the decklist: https://www.mtggoldfish.com/deck/909258#paper I dont own many of the new rare merfolk yet so this is more a budget version shell for now. 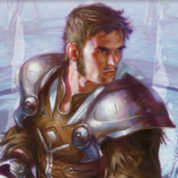 Oars is a budget B/W enchantments deck in Modern. It's an interesting blend of aggro, evasion, beatdown, a bit of control/grind. Check out the decklist!